Have you bought your dress for New Years Eve yet? I am always on the look out for good deals. Why spend $100 on 1 dress when you can spend $40 and buy 2 dresses? Right? Forever 21 is probably my all time favourite store. I always leave with a bag in my hand. They have such cute things at affordable prices. Here are some of my picks if you are still without a dress for that New Years Eve party. And hey...they are all under $40!!! How amazing is that?! I am not sure who is more excited about Disney Live! 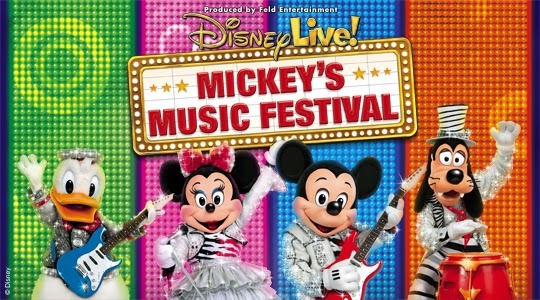 Mickey's Music Festival coming to General Motors Centre in Oshawa on January 8, 2015 my son or me?! My son's 1st show he ever went to was last year was Disney Live! Mickey's Rockin' Road Show when it was at General Motors Centre and he had a blast!! He cried when it was over- he didn't want the show to end. So, when I told him we were taking him to Disney Live! Mickey's Music Festival he was beyond excited. He started jumping up and down and asking if we could go right now! lol! If you are in need of one last Christmas gift or have a child who has a birthday coming up, then this would be a great idea! Here is a sneak peak of the show! I also have some free pintable sheets for your kids to enjoy. If you are planning on attending the show but haven't received your tickets yet, print these activity sheets as a way to surprise your child that they are going to the show! #2- Share THIS post on YOUR Facebook Page. All you have to do is scroll down to the end of the post and look for this click on the Facebook icon, and share this post on YOUR page . This contest starts today, Wednesday, December 24, 2014 and closes at 3:00pm on Wednesday, December 31,2014 EST. Winner will be selected randomly and announced on Thursday, January 1st, 2015. This contest is open to Canadian Residents Only. Good Luck! 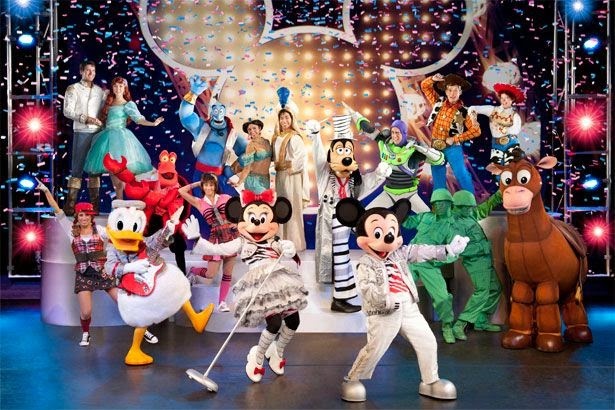 Disclosure: I am part of a Disney Live! Mickey's Music Festival Blogger Program and as such receive special perks and opportunities, but as always my opinion is my own. My Christmas decorating style is a mix of white, silver and a hit of a seafoam colour that I have as an accent through-out my home. I love entertaining, so I like the overall feel to always be warm, cozy and inviting. As you can see, my family room is very small so we had to get a slim Christmas tree. I would love bigger, but we just don't have the room. I think this tree is 7 feet tall and we bought it pre-lit which was great. I LOVE my Christmas Décor on my fireplace mantle in my Family room. When the room is dark while we are watching tv, the ornaments in the garland and the Christmas cones sparkle. Its so pretty! No, my table isn't set up like this all the time- we had some friends over for dinner on Saturday night. I made the place mats again using wrapping paper like I did for the Snowman Breakfast I hosted 2 weeks ago. I used extra ornaments that I had laying around in this glass apothecary jar and I also attached an ornament to each seating card. I made this piece below. I saw it at Michaels, but I didn't really like the colours they used, so I decided to make one myself. The bottom piece is glass, and I added tulle and a set of lights inside. It looks so pretty at night lit up on the console table. I love my wreaths. I have had them for over 6 years now and I always get compliments on them. I think they go really nice with the colours of my house. Last weekend I thought it would be fun to host a Snowman Breakfast. I invited my son's friends along with their mommy's for a morning of fun! It's so hard to find time to get together with friends over the holidays because everyone is always so busy. I was so happy that most of my friends could make it. I told everyone to come in their pajama's because I wanted people to be super comfy. I wanted everyone to feel very relaxed and comfortable. Nothing fancy! When I was looking online I found some really cute ideas for table settings, so I tried to recreate them but at the same time add my own personal touch. I started off by grabbing some wrapping paper that I already had, and made snowflake place settings. I bought white plastic plates (in two sizes ), napkins and the cutlery all from the dollar store to make the snowman body, hat, scarf and arms. Then, with markers I added a face. Talk about super cute! I really didn't want anyone to eat on them, lol! For food I kept it simple. Each guest got 2 circle pancakes that was supposed to be the snowman's body, a piece of bacon for his scarf, a mini bread stick for the nose, chocolate chips for the eyes, mouth, and buttons, and some whip cream for snow. I made snowman on a stick using white powdered doughnuts and decorated them with the mini bread stick for the nose and chocolate chips for the eyes, mouth and buttons. I also had freshly baked muffins and fruit. For drinks, I bought cute snowman mugs from Walmart for coffee or hot chocolate for the adults. For the kids, I made snowman faces with markers on foam cups from the dollar store and had orange juice, milk or chocolate milk to choose from. I thought it would be fun to have a gift exchange with the kids so, I asked all my friends to bring a unisex wrapped gift under $10 so each child had something to open. They were all so excited! Finally, I bought these snowman treat bags from the dollar store for each child to take home. I filled them with Goldfish, Fruit Snacks and Candy. We have the Elf on the Shelf (his name is Buddy) from last year that my in-laws had bought him, but he didn't really understand it until this year. Every morning he gets so excited to wake up and look for him. He knows he needs to be good everyday because Buddy is watching him and reports back to Santa. At the end of November when the toy books came out from the big box stores he was over all them. He used stickers to pick out things he wanted for Christmas to tell Santa when he saw him at the mall. Well, that didn't go over very well because he was so freaked out when he saw him that he never told him. That's why I said we needed to write a letter to Santa this year because Santa doesn't know what he wants.